READ OUR STUDENT BLOG by Bianca Feix! 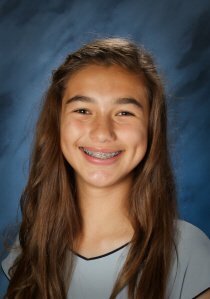 Bianca is a recent SSJ Graduate, Class of 2017, now attending Xavier College Prep. Bianca attended SS. Simon and Jude School since Kindergarten. She was born in Phoenix and is grateful to be the second generation of her family to have the privilege of attending SSJ. For the past nine years, I have attended Ss. Simon and Jude Cathedral School. It is all I’ve ever known. Now, my classmates and I are moving on to face a new challenge: high school. Most kids leave their grade schools hoping that they can take on what’s to come in their future. But I know that my fellow classmates and I are as prepared as ever. We are ready to face whatever high school throws at us and are prepared for our future after that. We will be bringing what we have learned to our new schools, to represent what an alum of SSJ is and should be. 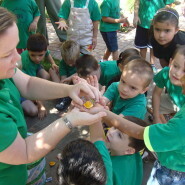 SSJ has an amazing education program, but my class has learned more than just book knowledge. We have learned how to be reflective, discerning, active Catholics throughout all our years at SSJ, whether we have attended since Kindergarten or 7th grade. We have learned to be good people and to live as children of God. Our Catholic education has allowed us to relate everything we learn to God. It allows us to speak freely of our own beliefs and opinions, and provides a safe space for all. We leave knowing we have family to turn back to. A support system that will be there no matter happens. To Sr. Raphael and all of our amazing teachers and administrators – THANK YOU for everything that you did to help each of us grow. We wouldn’t be where we are now if it wasn’t for all of you. Our job now is to represent what SSJ is. To show the types of people we have become. The Class of 2017 is now a part of something bigger. We are called to be the best version of ourselves. To pave the path for those that follow. I spent nine great years at SSJ, and Together, We Did Great Things! I am proud to now call myself an SSJ alum. The Loreto Sisters are an important part of the SSJ community. Ss. Simon and Jude school was founded in 1954 by Father Paul Smith. He wanted to start a Catholic school, and was looking for a group of nuns to run it. He turned to the Loreto Sisters in Navan, Ireland. 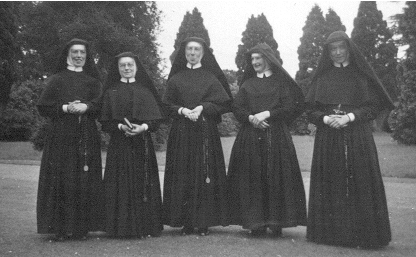 Five sisters bravely came to America to fulfill the school’s mission “to promote intellectual and spiritual growth by providing a quality Catholic education in a safe, compassionate environment, challenging all to live according to the Gospel in a constantly changing world”. I believe the Loreto Sisters have been doing a great job completing this mission. Recently, one of our Loreto sisters at SSJ passed away. 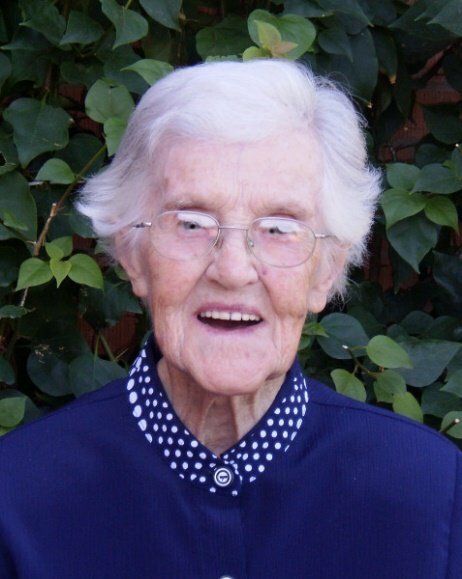 Sr. Teresita Ryan (born Sinead Ryan) passed away in March. She became a Loreto Sister in 1936, and came to SSJ in 1975. Sr. Teresita had many talents. She could sing very well and knew three languages: Latin, French, and Gaelic. Sr. Teresita taught music, directed plays, directed the parish choir, and taught Latin throughout her time at SSJ. Sr. Teresita was a great teacher. Sr. Teresita has had an impact on many people’s lives. She lived a life close to God, and stayed true to herself and her virtues. She carried herself with elegance and grace, and was kind to all. I can only hope to have the amazing character and personality she had as I grow up.